The best thing about cocktail parties is that you don’t need a special occasion to throw one such party. You can just have a get together with your friends on your birthday or just any day and call it a cocktail party. Also, it is not a very tough job to organize your cocktail party in India. You have to just invite everyone, organize the food and activities for the party and you are done. To invite everyone to the party you can make use of Yoovite.Com, a free online invitation tool, which is easy to use and gets your job done in a jiffy. After you have created the guest list for the party, you must customize online invitations with Yoovite and send them out to all your friends. The list is best restricted to your closest friends. One important point is that you have to mention a dress code for the party according to the theme you have chosen. The decorations also have to be taken care of. The venue could be your house party room, your poolside or just another party hall booked in advance.Such cocktail parties are becoming really very common in all major Indian cities like Delhi, Mumbai, Kochi, Kolkata, Pune and Chennai. The most important part of your cocktail party in India is definitely the drinks for the party. You must definitely hire a professional bar tender to mix your drinks. You must make sure that you organize mocktails as well because there could be a lot of people who don’t take alcohol. Remember, no one must be forced to drink for the fun of it. It is one’s own choice to make the decision.The tables and glasses have to be ready. It is best to organize everything well before the party time. 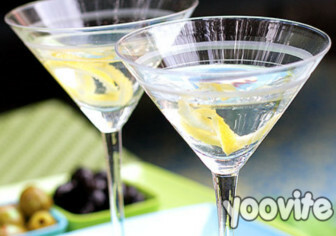 Martini, Screw Drivers, Mojitos, Margaritas etc are some of the most popular drinks that can be served. There are several more options available. Know the tastes of your guests and arrange well.You must definitely have music and dance for your cocktail party in India. A nice DJ would do wonders for your party. Make sure you arrange a nice dance floor as well. You can also arrange some nice snacks for the party. Some of the best Indian snacks that your guests would love are Fried Idlis, Vadaa, Cheese Bonda, Onion Vadaa, Samosas, Kachoris, Ragada Patties, Paneer Tikka, Chicken Tikka, Chicken Lollipop, Aloo Banda and Dhokla. If you could have a nice Chaatt stand as well, it would be great. You could also add Pizzas, sandwiches, French fries and Tortilla chips for the younger lot in the party. You must also plan some nice activities for the party. “Name the Drink” is one popular game, which gives the guests a chance to guess the cocktail that, is served on the table. Video games would also work well for a cocktail party in India. This entry was posted in Cocktail Parties, Free Online Invitation Tools.